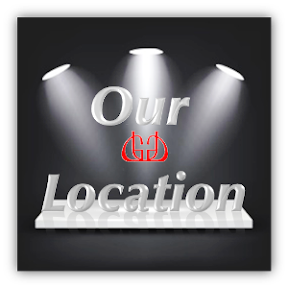 Check our location here or contact us for any inquiry. Let's think about the model of the appearance of the collision of the ball and head before and after the impact by using the coefficient of restitution . This time let's think the model of lofted head hit the ball horizontally. It is an easy example, so-called diagonal collision . The momentum is preserved before and after the collision. We think only about horizontal direction (x direction element) of the coefficient of restitution . There is movement of a perpendicular method (direction of y) because this is an oblique impact, too the ball is upward, and the head moves downward. However, it is possible to move only a little because the head is restrained with the shaft. If you think about not the oblique impact but a simple linear impact, you just take out cosθfrom ①②③. V=40m/s, m=45.5g, M=192g, e=0.75, and θ=13deg and head speed V'x just after the impact becomes 26.6m/s. You understand that the head has decelerated unexpectedly (40→26.6m/s) though it doesn't understand too much with the unassisted eye. It is natural that the head decelerated because the ball speed became 58.1m/s from 0. Appreciate if you could leave your comments here if you find this site is informative.Thank you.